The sun breaks through the clouds and with a quick turn of the head a whole new perspective on life shines before us, darkly silhouetting the architectural extremes of old & new. 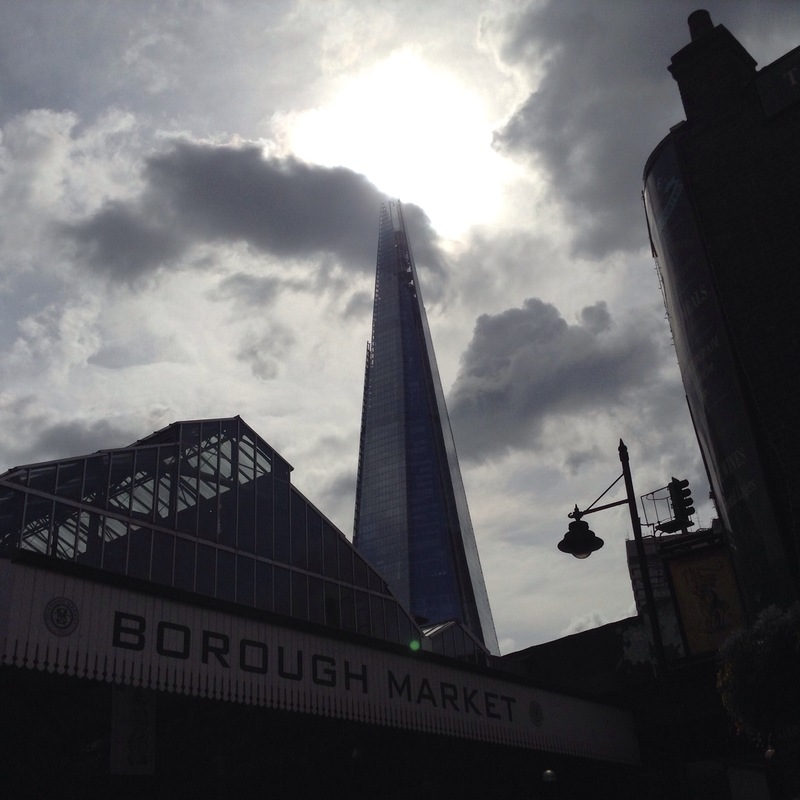 Here stands the Shard (of glass). A strikingly tall and sharp structure with a dominating lean and pinched proportions. It is 1061 feet tall, with 95 storeys, & currently the tallest building in the EU. There, spread beneath it, lies the sumptuous, salivating, sizzling Borough Market, first mentioned in 1276, although claims a much earlier date of before 1014. This building below is modestly dated 1860 & houses the best market in the world; we might say ‘world market’ too. The Old and the New living cheek by jowl, each with its own illustrious tale, each representing another era; adapting, evolving and sharing the same continuous, supportive space. This is the great, encompassing city of London. Go searching, chances are the old his hidden and the new is outspoken, much the way of the world!